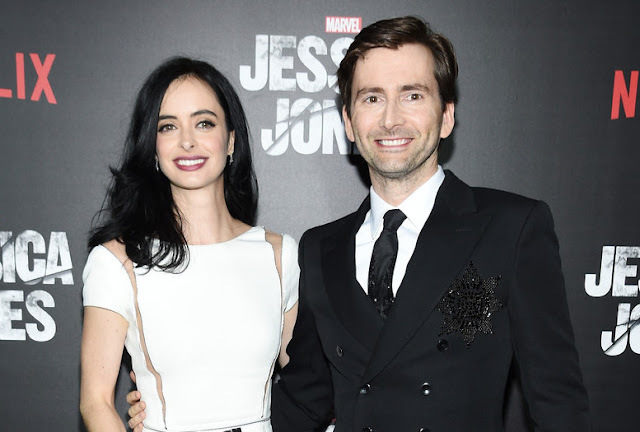 As 2015 wound down, David Tennant took a trip to Brazil to promote his new show Marvel's Jessica Jones. He also got into the Christmas spirit by appearing in the Absolute Radio Breakfast Show Christmas Panto. The year ends with some treats for January already in the pipeline including some TV appearances and a return to the stage. 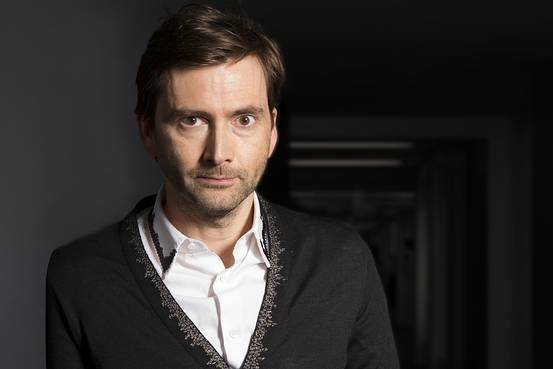 TVIn a new interview, David described Kilgrave, his character in Marvel’s Jessica Jones as a mind-controlling psychopath. In a rare venture onto social media, he and co-star Krysten Ritter took part in a Tumblr Q&A session. David and Krysten attended Brazilian fan convention CCXP. They signed autographs for fans and took part in a press conference about the show but unfortunately their panel session was cut short with no explanation given. The pair were also interviewed for Brazilian blog site Nerd Rabugento, UOL, Fuera de Foco and Canal das Bee. 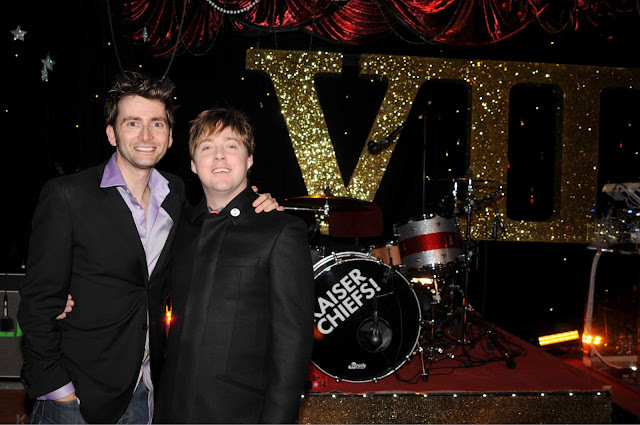 Today's Throwback Thursday is a couple of photos of David Tennant at Jools' Hootenany back in 2007. The show was the 15th anniversay episode and Jools Holland and his Rhythm and Blues Orchestra saw in 2008 with Paul McCartney, Kaiser Chiefs, Kylie, Kate Nash, Madness, Seasick Steve, Mika, Raul Midon and many more. The show also featured the Pipes And Drums of the first Battalion of the Scots Guards. Guests included, Dawn French, Lenny Henry, Rory Bremner, David Tennant, John Simm, Sir Peter Blake, Jon Culshaw, Jackie Stewart, Bernie Ecclestone, Tamara Ecclestone, Rowland Rivron, Imelda Staunton, Jonathan Cainer, Omid Djalili, Adrian Chiles, Sanjeev Bhasker and Arthur Smith. As the year approached its end, much of the month of November was filled with press for Marvel's Jessica Jones, which released on Netflix at the end of the month. David also made a number of TV and radio appearances, including a return to Absolute Radio as a co-host. All 13 episodes of Marvel’s Jessica Jones starring David as Kilgrave were released exclusively on Netflix on November 20th. The cast and creatives attended the gala premiere in New York on November 17th. Ahead of the release, Netflix released new promo photos and a new trailer showed more of the Jessica / Kilgrave relationship. 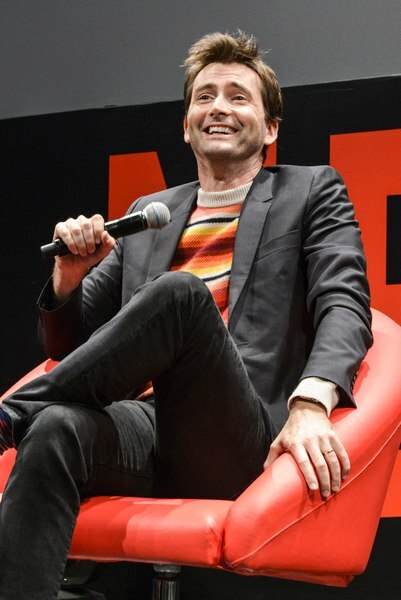 Clips of David in action were showcased in a video interview with the Guardian, while in conversation with Digital Spy he revealed that despite being a lifelong Marvel fan he had never heard of Jessica Jones prior to being offered the role of Kilgrave. New preview clips saw Kilgrave invading a family home and using his powers to influence a game of cards. 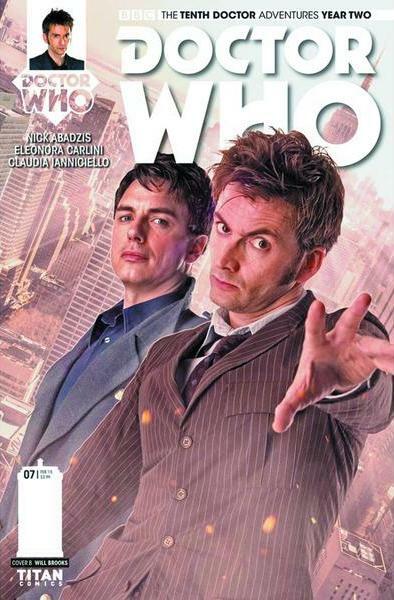 The ongoing comics adventures of the Tenth Doctor continue into the new year, with issues #2.7 and #2.8 now available to pre-order from Forbidden Planet. The officially licensed series sees the Doctor, as portrayed on screen by David Tennant, paired with companion Gabby Gonzalez and embarking on a brand new set of adventures. DEATH MATCH Part 2 It's the Doctor and Gabby versus Captain Jack, Cleo and Cindy, with the mysterious Mr. Ebonite pulling the strings! Forced to race each other for an extraterrestrial artefact, friendships are put to the test in the most surprising of ways - and the TARDIS team changes forever! 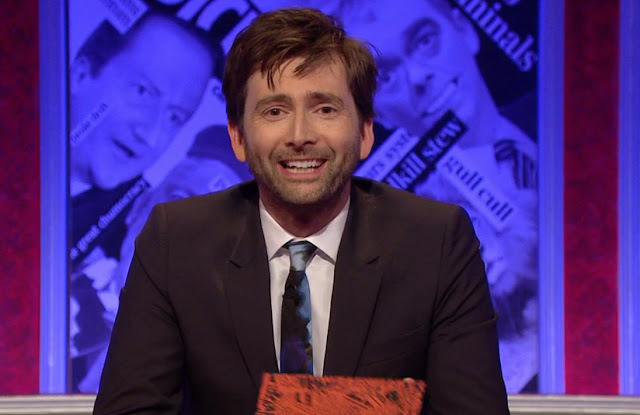 October arrived and with it a plethora of new TV appearances for David, including a much-lauded stint hosting the long-running current affairs panel show Have I Got News For You. With a month to go till the launch of Marvel's Jessica Jones, more was revealed about the show, including a full trailer. January saw the launch of the second series of Broadchurch on ITV in the UK and the release of a batch of new promtional photos from the show. This shot of David and Olivia Colman as Alec Hardy and Ellie Miller became the stand out image of the series. Also that month David was presented with the Special Recognition Award at the National Television Awards at the O2 arena in London where he was shocked to receive the surprise award that celebrated his outstanding success as an actor on TV. His friends, family and colleagues teamed up to speak of their admiration for him as an actor and as a man. Another appearance in January saw David attend the Radio Times Covers Party where he was presented with a special award commemorating his record breaking 25 cover appearances in the last ten years.